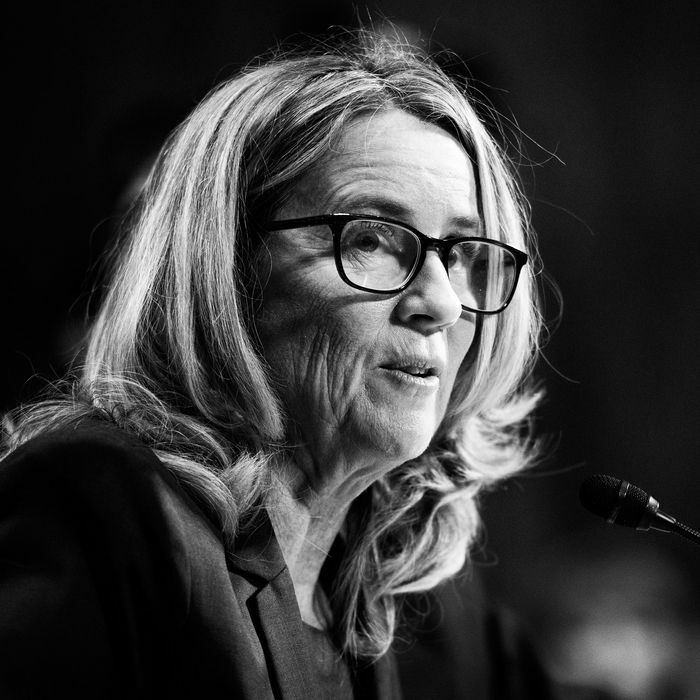 Blasey Ford, who has been keeping a relatively low profile since the Kavanaugh hearings in early October, opened up about her experience in an update last week on the GoFundMe for her family, which has amassed nearly $650,000 in the past two months. Since mid-September, when Blasey Ford publicly accused Kavanaugh of sexually assaulting her in the 1980s, the professor has received death threats, has had to move houses four times, and has hired private security to help protect her family. (Kavanaugh has strongly denied the allegations.) Therefore, Blasey Ford writes that a significant portion of the GoFundMe donations have gone toward various security systems for their house and loved ones, as well as local housing for the time period where they were displaced. Now, after approximately two months of operating, the GoFundMe will stop accepting further donations, Blasey Ford writes. When the fundraiser started, it had a goal of $150,000 — an amount it has long surpassed. Blasey Ford says that “all funds unused after completion of security expenditures will be donated to organizations that support trauma survivors,” which she is currently researching. And though she says the experience of coming forward was extraordinarily disrupting, she’s inspired by the letters she has since received from her supporters, and is proud to have spoken out.